Are you looking for a place where your daughter can build strong friendships, learn new skills and build lasting memories? Join us for a Girl Scout Parent Information Night! 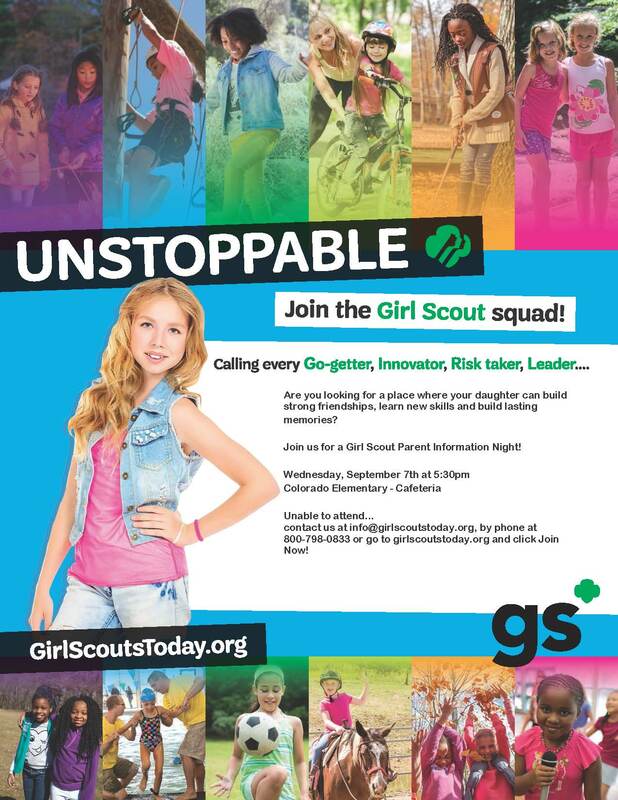 contact us at info@girlscoutstoday.org, by phone at 800-798-0833 or go to girlscoutstoday.org and click Join Now!